May was an interesting month in this household. A time of flux, ins and outs, comings and goings. For part of the month, my husband and I were knocking around this great big house with just the puppies and kitties to worry about. Then, the boys descended upon us for Memorial Day Weekend and it was back to the noisy, busy, houseful we are so accustomed to. I gotta say, it’s the best of both worlds. We did a quick Costco run just before the holiday weekend so I could stock up on all my pantry essentials and pick up some special items for our Memorial Day BBQ. I also had my eye on a cool, new kitchen tool I heard about from a blogging friend. So, let’s get to it…grab your cart and let’s go shopping! Quite some time ago I picked up some steel cut oats at Trader Joe’s and they are still sitting, untouched, in my pantry. Who has 30 minutes to wait for their oatmeal in the morning? Not this lady. 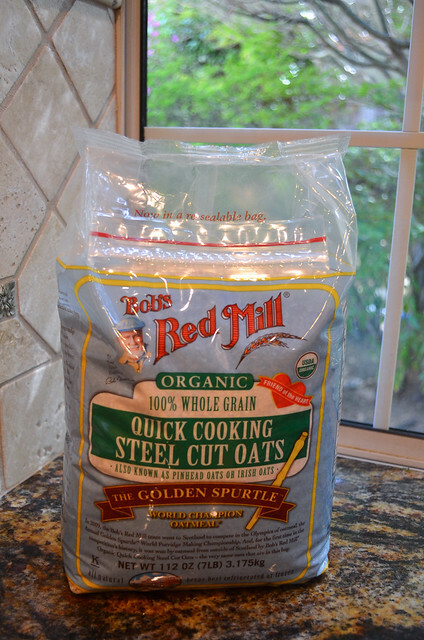 I was excited to see that good ole Bob, of Bob’s Red Mill fame, makes a quick cooking version of these super healthy, whole grain, cholesterol busting oats. They cook up in less than 10 minutes and they have that distinctive, slightly chewy texture that I love about steel cut oats. 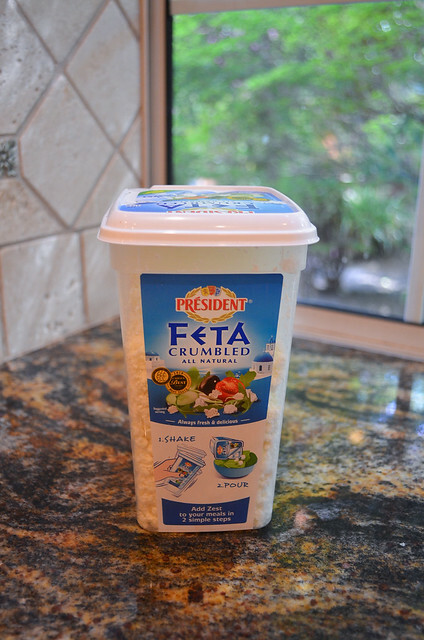 This great big canister of crumbled feta is a staple for me. It is a vital component to my Chicken Pesto Pasta Salad which was on the menu for our Memorial Day BBQ. Feta is a great way to add flavor to a huge variety of dishes. I love to add just a little to our scrambled eggs for big flavor without adding too much fat. 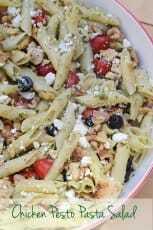 It’s perfect in salads, I love it SO much in my Feta Bruschetta, and the Orzo, Grape Feta Salad is absolutely divine. 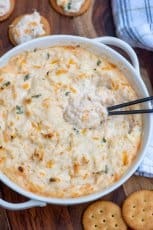 Try using it to make a cheesy feta/garlic bread. Hmm, I see a future post in the making. Totally scrumptious. Also on the menu for our holiday BBQ – steak! The Whiskey Balsamic Steak, to be precise. 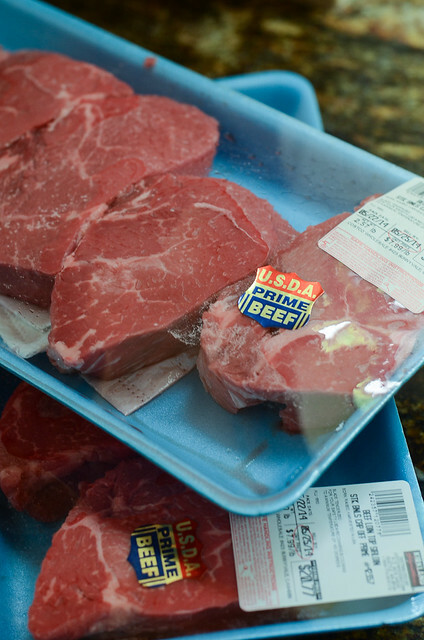 I always buy my sirloin from Costco but typically pick up the USDA Choice. Since it was a special occasion, I went for the USDA Prime this time, and it was excellent, restaurant quality steak. So worth the extra $2 per pound for a special dinner. On to the non-food items. 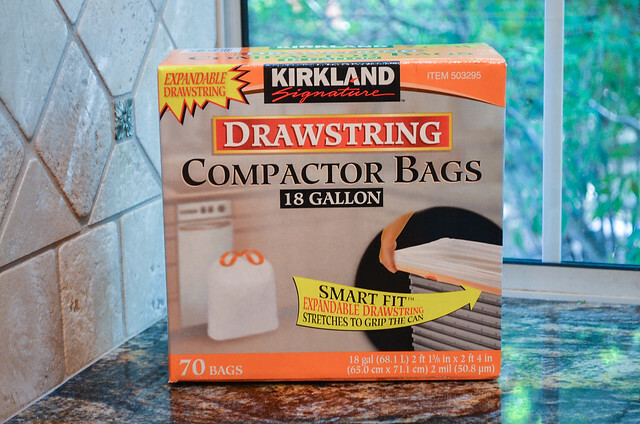 Yeah, trash compactor bags are not too exciting but we need them. Costco always carries some sort of super soft, snuggly throw. These were in stock this time and since the price was SO low, I picked up a couple of them. I run cold, so even in the summer I love a snuggly throw for TV watching and book reading. It’s only a matter of time before the dogs claim them so it’s nice to have fresh new blankets on hand. I’m fighting Bruno and Bridget for these. They are wonderful! Here is my most exciting buy for this haul. The NutriBullet! We make a lot of smoothies around here and I pushed my poor blender over the edge quite some time ago. There was a live demonstration going on for the brand new Vitamix blender and the price for this new unit was….get ready for it….$500! I’m bound and determined to purchase one at some point in my life but for now I was happy to find this little gem. It was recommended by my blogging friend, Nami, of Just One Cookbook and I absolutely love it. The motor is very powerful and can handle everything I’ve thrown it’s way. Boy #4 blended up several healthy smoothies for himself in the short time he was here for the holiday. It’s going to be well used over the summer. Thanks for the recommendation, Nami! I was not at all planning to buy a mattress pad on this shopping trip but that’s always how it seems to go at Costco, now doesn’t it? 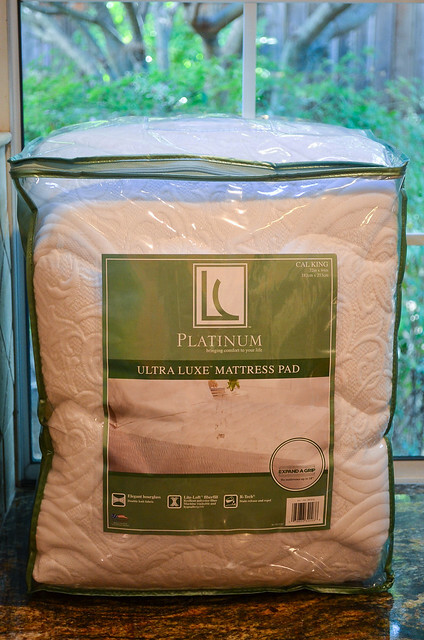 Our Cal King size mattress pad was in bad shape so when I saw the price on this very nice quality one, I couldn’t pass it up. Now, on to a couple of items I didn’t buy but I thought were of interest. I apologize for the grainy, underexposed iPhone photos in the next section. Costco is doing their part for energy conservation by turning off about half of the overhead lights which we applaud but it doesn’t bode well for my in-store photos. 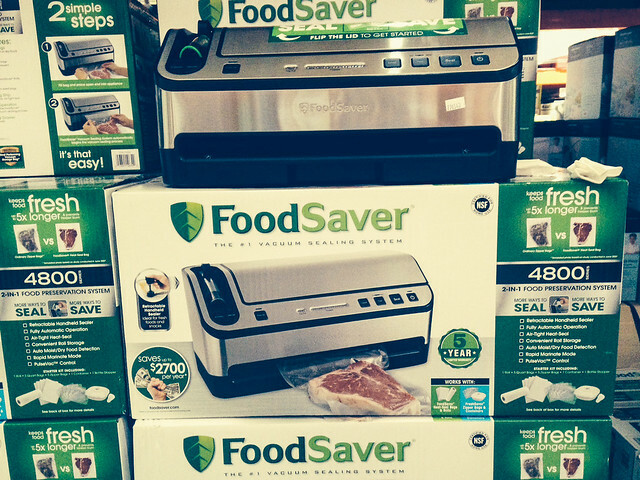 My FoodSaver vacuum sealer is one of the most vital tools in my kitchen. I got mine at Costco years ago and this is the newer model they stock now. When you are buying large quantities of items, especially meat, a vacuum sealer is your best friend. Within a day of my shopping, I spend a little time separating and vacuum sealing all the meat I buy into smaller portions so I can pop it all in the freezer to pull out as needed. It’s great for extending the life of all kinds of things from meat to cheese to leftovers. Super great time saving tip – make up a big batch of baked beans, or any other freezer-friendly dish, and vacuum seal and freeze portions that you can easily thaw and heat to include with your meal. For items like this, you can literally pull the plastic packets out of the freezer minutes before your meal, run them under some warm water, snip open the package and heat it up. It works perfectly. There are endless possibilities when it comes to make-ahead freezer meals. Cookie butter lovers rejoice! 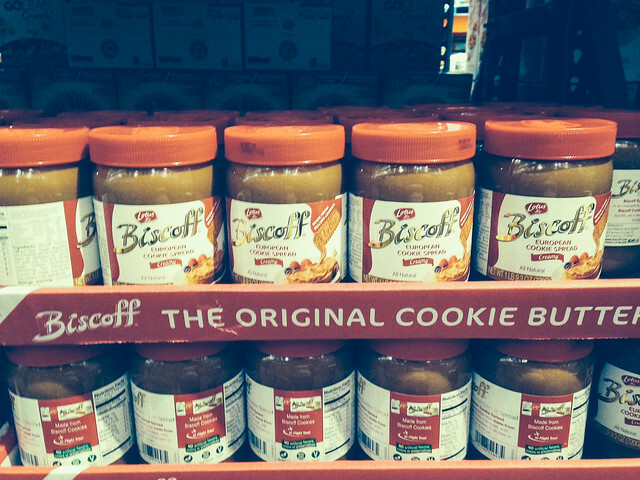 Costco now carries the much beloved Biscoff Spread. If you are a cookie butter novice, Biscoff Spread is a nut-free spread manufactured in Belgium from Biscoff cookies – a shortbread biscuit type of cookie. Food bloggers were all over this stuff when it first started appearing on grocery store shelves. A quick Google search will yield all kinds of recipes and ideas for putting it to use. To check out my previous Costco Hauls for lots of other pantry essentials and cool finds click HERE. That’s it for May. With the college kids coming home for summer break in June, I’ll be back in the aisles of Costco and back to share my new finds with you very soon. 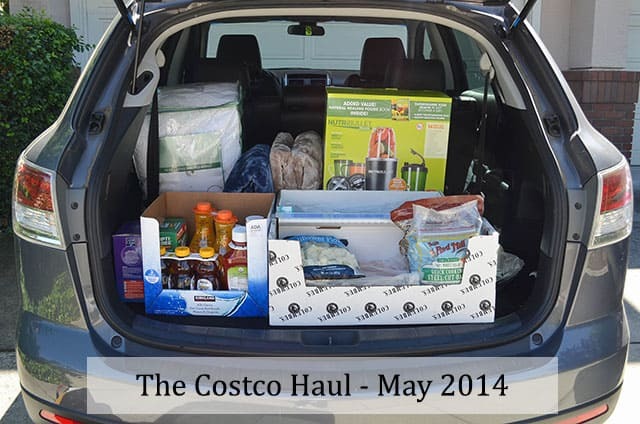 I’m so excited to be mentioned in my favorite series on your site – The Costco Haul! 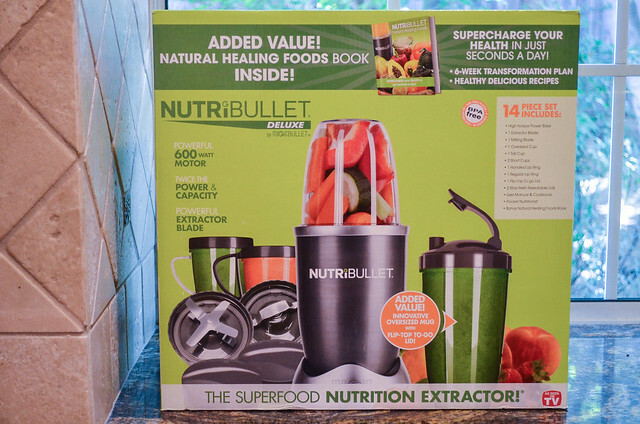 I’m very glad to hear you like NutriBullet! I use it at least twice a day, morning and afternoon, and make two smoothies each time. I don’t even pour into a glass because I can use that cup as drinking cup. SUPER convenient, isn’t it? I’m already looking forward to tomorrow morning’s smoothie! It’s so easy now. I’m pretty thrilled with that thing. The vacuum sealer makes my life so much easier. Being able to buy so many things in bulk cuts down on the shopping trips and I love it for portioning out leftovers and freezer meals. I also love those steel-cut oats but don’t like to cook them in the morning. Here’s a suggestion. Take out your Crock-Pot just before bedtime. 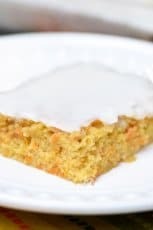 Throw in one cup of the steel-cut oats (regular, not quick-cooking), one box (approx four cups) of vanilla flavored almond milk, 1-2 tsp vanilla extract, and 1-2 T brown sugar. Mix it up, turn the Crock-Pot on to low and in the morning, your steel-cut oatmeal (with perfect texture!) will be waiting for you. 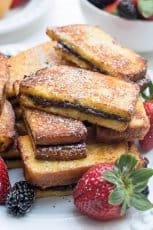 You can adjust the vanilla and brown sugar to your liking. Hi Denise! This is an excellent suggestion. I am definitely going to be trying some overnight oats recipes and yours sounds really good. Thanks! I’ve been eyeballing that food sealer system for quite a while now, while my wife is a whiz with a straw and a Ziploc bag, this looks a whole lot easier. Not a big fan of feta, but we do like the big tub of Blue Cheese crumbles, great for scattering over salads or melt on a burger. It’s funny, I like to take a look at some of the other folks’s shopping carts in Costco because you see stuff you didn’t even know was in there. So thanks for a look at yours, I always get a lot of good ideas.